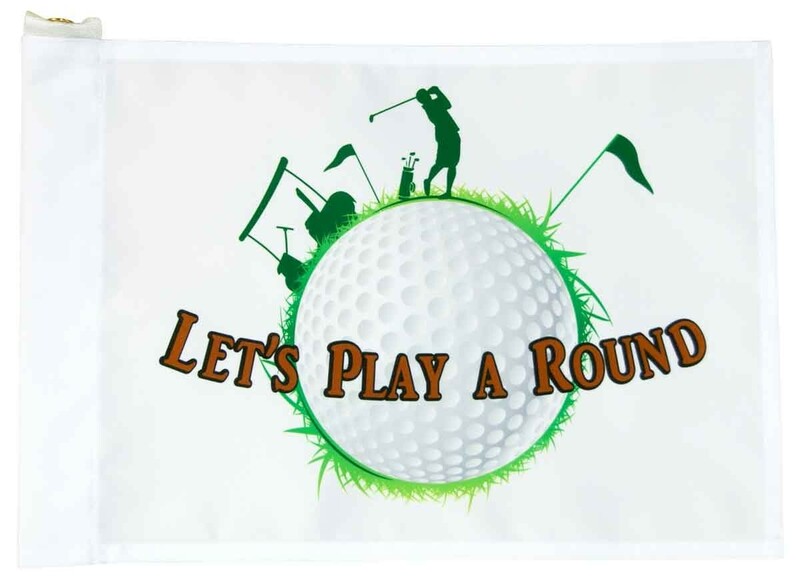 Let's Play A Round Golf Flag. Yes, golf can be serious but that does not mean we can't also play around. The tube style Insert flag is designed to slip over the top of a standard 7-foot golf pin. The flag is regulation size: 14 inches X 20 inches.